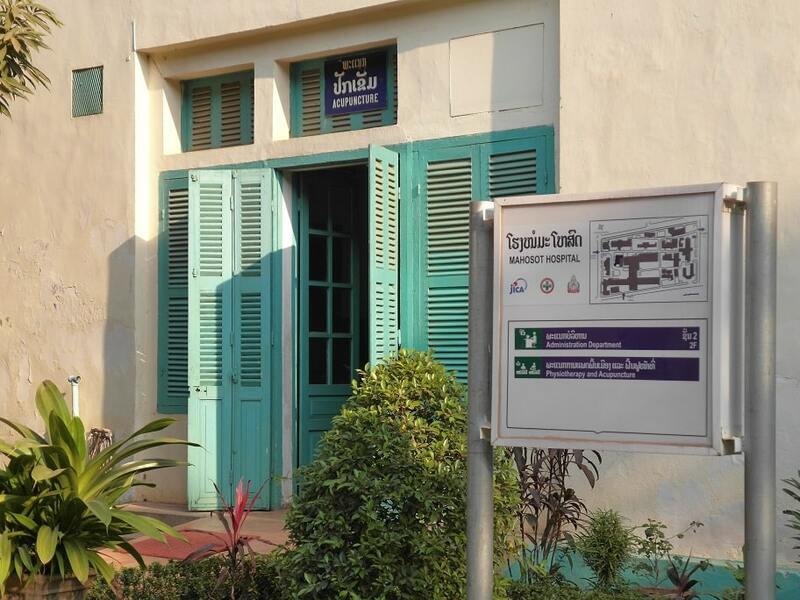 In Vientiane, the capital of Laos, Mahosot hospital has dedicated one department only for TCM acupuncture. Dr. Sychanh Khamkong is probably the most skilled acupuncturist in the country. In addition of holding a degree of allopathic physician she has attended many courses in China for specializing in acupuncture. 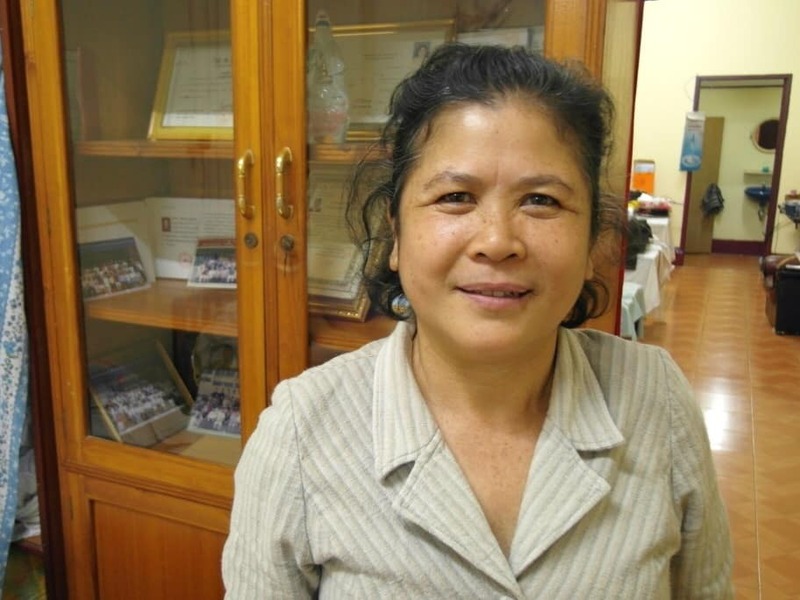 On the weekdays, daytime hours, she works at Mahosot Hospital in the center of Vientiane, but in the evenings and weekends she does the same at her own clinic. 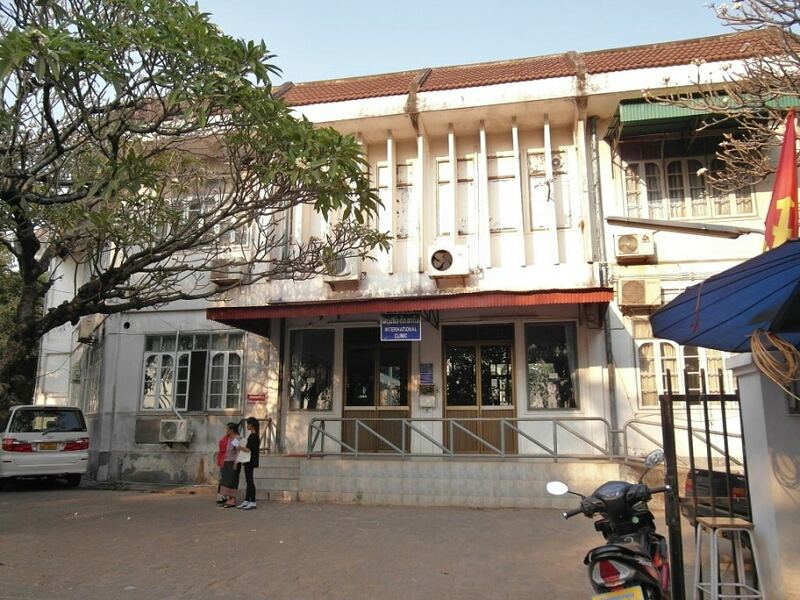 It is located in the middle of humble residential area west from the city center near Kong view restaurant along a narrow alley parallel to the Rte Luang Prabang Street that leads to the Airport(see the map below). Going to her own clinic is cheaper, but more inconvenient. She used to charge only 40000 KIP(ca. 5USD) per session while at Mahosot it is around 60-80 000KIP. Drinking water is complimentary. If staying at the tourist hub near riverside, it makes a 15-20 minutes bicycle ride to her clinic while the hospital is just few minutes away. First half of the ride is easy and scenery along the riverside boulevard and the other half must be done along the more or less heavy trafficked high way. There was many locals every time I went to see her, so it was clear that she has established her name and practice very well. It made me feel like being in good hands despite not the most sophisticated premises. She has the longest needles I have seen and they wobble after insertion. Her technique is from the rougher end and she may also attach some electrodes on the needles which I found inconvenient and overstimulating considering my sleeping and adrenal issue. But for some other ailments it might be good extra. She also does real moxibustion. There is decent ventilation that allows it. That makes her stand out in comparison to more upscale places that avoid it due to smoke issues. At her clinic I tried to do the same as at Mungkala in Chiang Mai, but I found the first three sessions were doing more harm than good. My sleep was getting worse which did not happen at Mungkala. I don’t know was it because of her rough technique, wrong points or some electrodes she used that made it that way. Maybe a combination of all those. However, after three sessions I told her what is going on and immediately she knew what to do, a kidney tonification. She asked me to take my shirt off and go lie down on my right side. She then inserted two needles to my back on Shenshu BL-23 points along with moxibustion, heating the needles with burning herb. She took pieces of the herb and placed it at the tips of the needles and set them burning. That allows the smoke and heat go to the acupoints along the needles. That worked like a miracle and reversed all the agitation I had gotten from the previous sessions. It was very powerful and I felt very relaxed and relieved afterwards. The soothing effect started soon after the needles and herb was inserted, so the effect was very instant. I felt my body needed it like desert miss the rain, to put it poetically. My conclusion was that I had already too high cortisol, or my adrenals were not keeping up with the stress I was exposed on the previous times, and by the underlying mercury redistribution that has caused my problem. I must admit that her technique for insomnia at least in my case was too rough, but like I said I saw plenty of locals queuing to her practice and obviously find her treatment helpful. Therefore I can recommend her although my personal experience for treating insomnia was not the best one and after all I left being relieved with the kidney tonification that I find like miracle cure for adrenal fatigue. My travel plans did not allow another similar session, so I continued in Chiang Mai. You can read more about Dr.Sheng Zhong Wang in the article I made about him. For reading more about the principles of TCM in easily digestible form you may check out this small book. 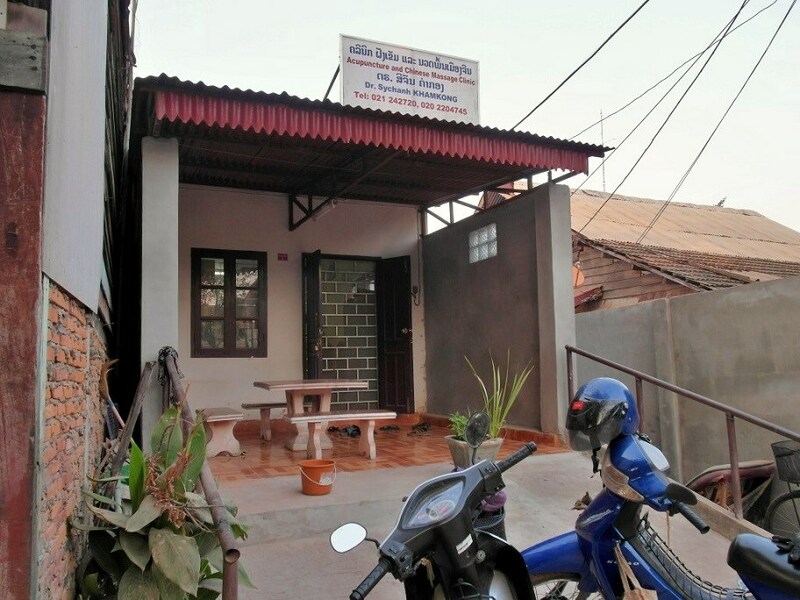 Her home clinic near the Kong View restaurant outskirts of the city.